Why am I constantly hungry? It seems that a lot of people are looking for the answer to this question these days. Of course, there is no correct answer for everyone. It mostly depends on your lifestyle and situation, and whether your hunger is a serious problem or not. However, for the purpose of this article, we’re going to assume that you are constantly feeling hungry throughout the day, despite feeling that you are eating enough overall. Feeling hungry all the time is not good. It can distract you from your daily practices and can prevent you from focusing on what needs to be done during the day. Before we get started, you should always speak to a medical professional to rule out any serious issues or underlying health conditions that may be causing your constant hunger. In this article, we’re going to take a close look at why you may be feeling hungry throughout the day. • What is Excessive Hunger? So, with the introduction out of the way, let’s start taking a closer look at why you may be struggling with constant hunger. You probably already know this, but ‘hunger’ is simply your body’s natural cue to tell you that it needs some food. Simply put, hunger is our body’s natural way of driving us to find food to stay alive. We’ve all had feelings of intense hunger at some point throughout our lives. Some people report their stomach feeling ’empty’ and making noises, headaches or just an overall feeling of ‘hunger’. 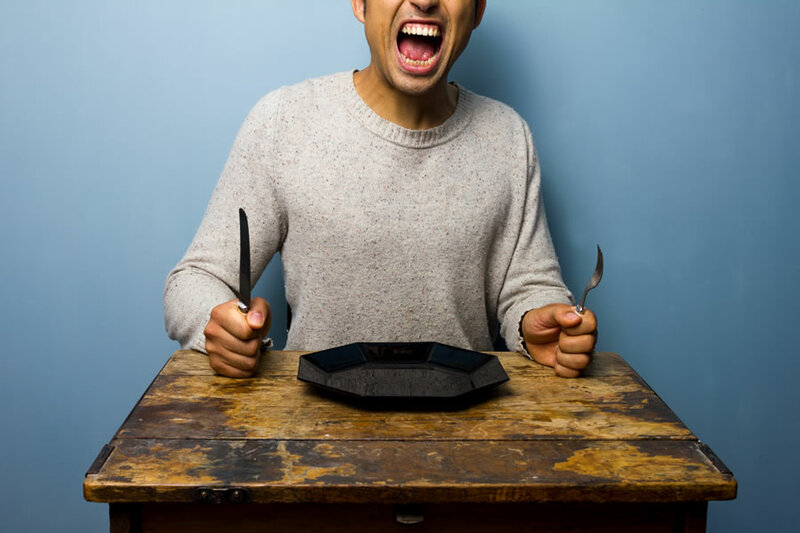 It’s perfectly normal to feel hungry if you haven’t eaten for a long period, but it can become a problem if you’re getting constant feelings of hunger throughout the day, despite having eaten recently. Many people can go through several hours after a meal without feeling hungry again – but this is not the case for everyone. Now, let’s start looking at some of the main reasons why you may be feeling constantly hungry all the time. The feelings of hunger you experience are often closely related to the type of diet you stick to. For example, some foods can help you to feel fuller for longer, while others can leave you constantly craving more food. An example of this is a diet which is rich in fiber. Fiber triggers the release of certain gut hormones that promote a sense of ‘fullness’. On top of this, foods with a low Glycaemic Index such as nuts, vegetables and beans release energy more slowly than foods with a high Glycaemic Index (such as white bread and sugar). It is widely accepted that eating more foods with a low Glycaemic Index can help to promote feelings of fullness. If you are constantly snacking on foods with a high Glycaemic Index (such as sugar, white bread and white pasta), you may be left feeling hungrier than if you were to stick to a diet mainly of low Glycaemic Index foods (such as brown rice, brown bread, nuts and vegetables). You should also note that eating fatty foods can ‘trick’ your body into thinking it has consumed less calories than it actually has. This is because fatty foods (such as fried food and butter) contain a lot of calories in small portions. This makes it more likely that you are going to overeat (consume too much energy) from calorie-dense fatty foods. Our main recommendation here to help stabilize your hunger levels is to add more fibre to your diet and reduce the amount of high Glycaemic Index foods you consume. Examples of high Glycaemic Index foods to avoid include: white bread, corn flakes, white rice, and foods high in sugar. Examples of low Glycaemic Index foods include: wholewheat bread, oatmeal (rolled or steel-cut), brown rice, wholewheat pasta, sweet potato, peas, legumes, lentils and most fruits, non-starchy vegetables. Examples of foods high in fiber include: wholegrain breakfast cereals, wholewheat pasta, wholegrain bread and oats, barley and rye. Fruit such as berries, pears, melon and oranges. Vegetables such as broccoli, carrots and sweetcorn, and nuts and seeds. We spoke to personal trainer and online health coach Max Lowery to get his take on the answer to this question. 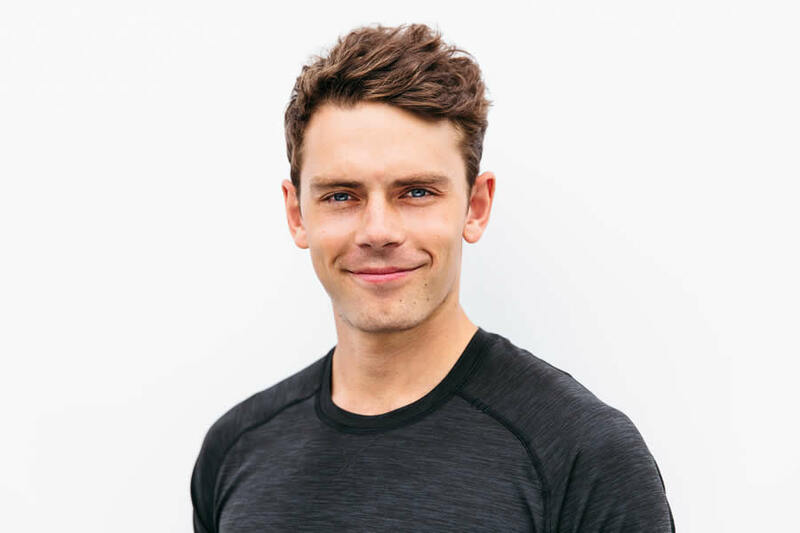 Max is an advocate of Intermittent Fasting and is the founder of 2 Meal Day. 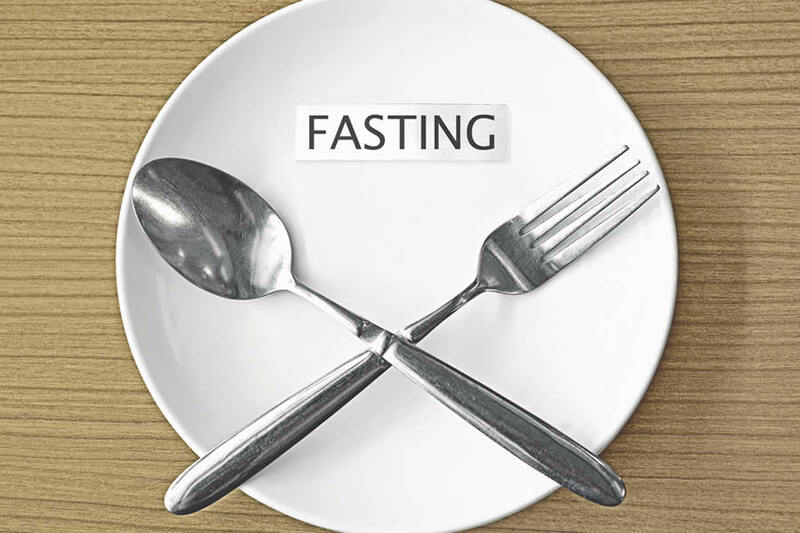 Intermittent Fasting is a general term for various eating patterns that involve fasting (not eating) for short periods of time. For example, you may choose to not eat for 16 hours of the day, and then eat in an eight-hour window. Max says: “There’s a certain type of person – and I’ve met a lot of people like this – who get themselves into the habit of, as soon as they feel tired, they eat. “They are attributing food with energy. Now, of course, food is energy on the long-term, but on a day-to-day basis, we should be able to access our stored energy (from body fat). “If you’re constantly supplying your body with new energy, it’s not going to tap in to your stored energy. “Basically, if you’re constantly eating, and you get used to eating regularly throughout the day, your body will feel hungry all the time. “This is something that can be very difficult for people initially but once you start to incorporate Intermittent Fasting and start teaching your body to use the body fat (as an energy source), virtually everyone I’ve spoken to who has tried it has ended up feeling less hungry. “This is exactly how it’s meant to be. We aren’t meant to be eating all the time – we wouldn’t have got to this stage in evolution if it was like that. “We are designed to go through periods of eating and not eating, as long as there are no other underlying health issues. So, Intermittent Fasting could help you to improve your relationship with food and promote more stable hunger levels throughout the day. However, you should always speak to a medical professional before thinking about going on a fast. You should not try Intermittent Fasting if you are pregnant, breastfeeding, or have an underlying medical condition. As always, there is no perfect answer to the question of why you are constantly hungry. Much of it depends on your individual circumstances and situation. As we said at the start of this article, you should always speak to a medical professional to rule out any serious causes or underlying health conditions that may be causing your constant hunger. It’s always a good idea to make sure that you’ve got the basics right when it comes to your overall lifestyle. That means making sure that you’re sticking to a healthy, balanced diet (with enough fiber), are exercising regularly and getting plenty of rest. If you have already got these things on point, then you may consider some other options to help reduce your constant feelings of hunger. So, that brings us to the end of our look at why you may be feeling constantly hungry. We’ve walked you through some of the basics when it comes to hunger, and what types of food may be making the problem worse. 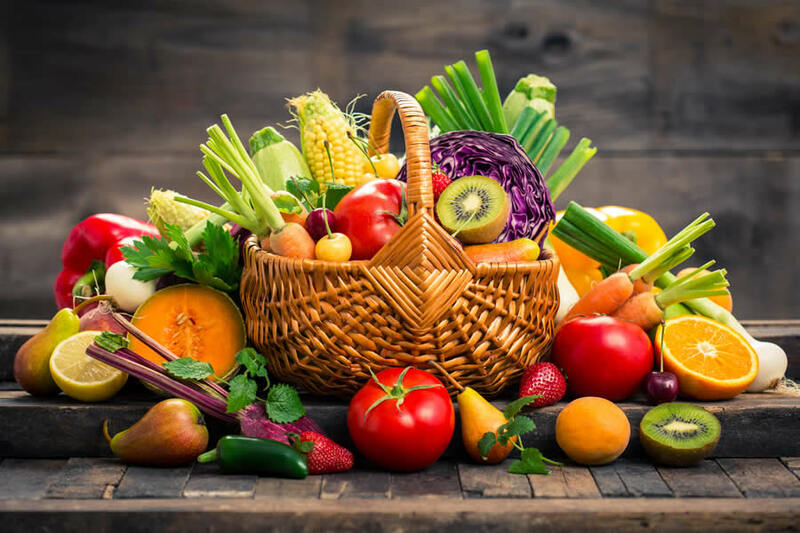 Generally speaking, sticking to a diet which is high in fiber and which features fewer foods with a high Glycaemic Index should help to promote feelings of satiety and reduce hunger overall. You may also want to look into Intermittent Fasting as a way to help improve your relationship with food. You should always speak to a medical professional to rule out any serious causes or underlying health conditions that may be causing excessive hunger. We also recommend that you get your overall lifestyle choices on point. That means sticking to a good diet, exercising regularly and getting enough quality sleep.